Summer means fun in the sun and a few months of relaxation, but it also means there are some scorching hot days were it feels like you could cook an egg on the asphalt. Staying cool on hot summer days can seem impossible! Whether your air conditioning is out, or you are just always way to warm, here are some tips to stay cool on toasty summer days and nights! Wear a light colored cotton shirt, because gotten is a more breathable fabric, and light colors make for a cooler day in the sun! Also, do the same for your bed sheets, so you can cool by night and day. In winter, if you’re cold you throw your blanket in the dryer for a toasty night’s sleep, for summer throw your blanket in the freezer a few minutes before bed! It won’t keep you cool all night but it’ll give you a comfortable burst as you count sheep. You can cool down a whole room a couple of degrees by hanging a wet sheet in front of an open window or in front of a fan. If you don’t have A/C in your place, or it’s broken, position a box fan in your window on high speed to create a cool breeze. (Trust me, it is almost as good as air conditioning). If you need a quick way too cool down take an ice cube, ice pack or even a cool wash rag and place them on your neck and pulse points on your wrists, ankles and behind the knees. Being overheated on a beautiful summer day is the fastest way to ruin your fun in the sun. 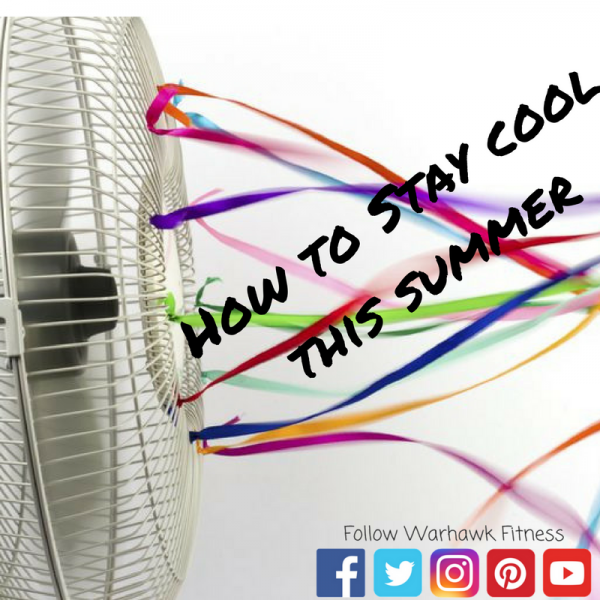 Next time the weatherman calls for a scorcher, try these tips to stay cool whether you are laying in bed watching Netflix, on an adventure or just need a penguin habitat to sleep in! We’ve all seen those charts that come out around the holidays and during summer that show how many of this exercise or that exercise you’d need to do to burn off that thanksgiving feast or everything you just ate at a summer BBQ. 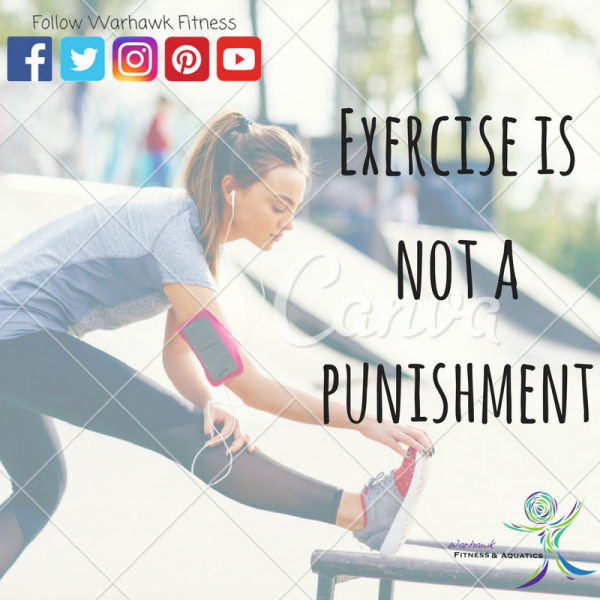 When you look at it this way, exercise is a form of punishment, not a form of nourishment. It gives you the mentality that you have to earn or work of every single item of food that you put it your mouth. Moving your body should never be done as a punishment for the nutrient you put into your body. And, you do not have to earn your food. Food is essential to life to keep us alive and healthy. That’s it. If you, like many others have fallen into this idea that you must earn the foods you eat, or that exercise is a way of punishing yourself for eating these foods, it’s never too late to change your mentality so that you can live your life to the healthiest and fullest extent. Continue about your everyday life, following whatever way of healthy eating works for you, and move your body in whatever way works for you. Stop obsessing over every calorie that goes into your body on a day like thanksgiving, or the day that family BBQ comes, and be grateful that you have an abundance of food provided to you to nourish your body. There are more important things in the world, then every single calorie you burn off in the gym. This can help not only change you mentality of exercise as punishment, but free your mental health as well. Another major component to changing the way you view exercise is making sure you are partaking in physical activity for healthy reasons; both mentally and physically. Working on making sure you are working out for the healthy reasons will definitely be a change, but if you continuously work on it, you will truly see how much better your workouts become, how much more enjoyable and nutritious food will become, as well as how you truly feel better within yourself. Summer is when we all spend a good portion of our days outside. Whether you spend your time relaxing and reading a book or working in the yard, it is important to try and stay cool during those bright sunny hot days. Here are a few tips to make long days outside feel a little less hot. One thing you can do is wear light colors while you are outside. Clothes that are lighter in color do not absorb as much heat which keeps you cooler on super sunny days. Also, wearing clothes that are a lighter material can help keep you cooler as well. When you wake up in the morning check the weather so you are able to dress in an appropriate way to help combat the heat. Whether you are lounging around or playing frisbee in the yard, try filling a spray bottle with cold water so you can mist your face or body to keep yourself cool while you spend your day outside. If you are around water, dipping your feet in the water can cool you down quickly as well. Another way to stay cooler this summer is by keeping a wet towel around your neck. There are many benefits of using a cooling towel. This is a great option to help you cool down while doing activities outside. At many stores, you can find cooling towels specifically for working out that may be a great summer purchase. If you like to run or workout outside it is important to drink lots of water. This will keep you hydrated and help you to not overheat. Make sure to add a good amount of ice to your drinks to keep them cool longer. Nothing is more refreshing than an ice-cold drink on a blazing hot day. If you are someone that likes to spend hours on the beach, make sure to spend some time in the shade to let your body cool down a little bit. Being in direct sunlight can really heat up your skin and make it feel much hotter out. So, take a break and cool off in a nice shady spot. 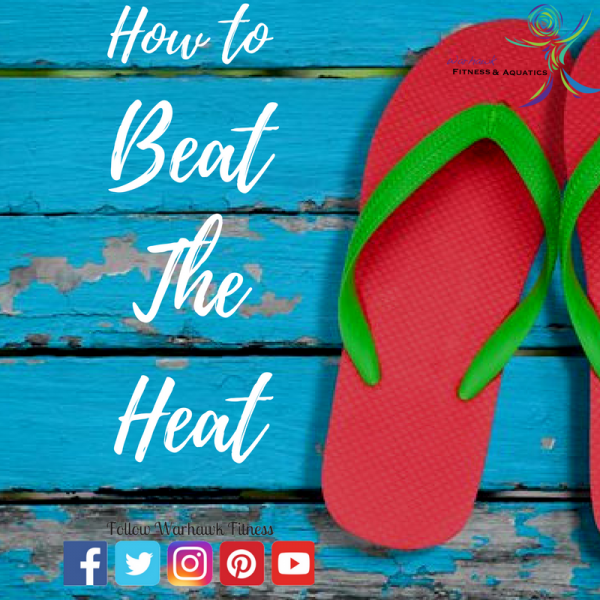 Hopefully these tips will help you beat the heat this summer. Now you can enjoy the beautiful outdoors a little more comfortably on these hot sunny days. I hope you are enjoying these gorgeous summer days. You definitely deserve them after the long year you just endured. Summer is finally here and now you have 3 months to do whatever your heart desires! While that is certainly the ideal scenario, it seems like it rarely happens that way. Whether you are back at home or in a completely foreign area, you most likely have some kind of obligation to work a seasonal job or be present for an internship. Maybe you are studying abroad or you have entered the workforce and started your first career. Regardless, you probably have some kind of responsibility this summer… which is awesome! But sometimes these tasks seem to interrupt the fun plans you set your mind on before the summer even began. This is super annoying and can even be destructive. There is a reason why you thought long and hard about what you wanted to do during your summer break. It’s because you NEED a true vacation. After the year you had, it makes sense that you are craving a release. You owe it to yourself to follow through with your plans! It is truly important for your health. Take some time this week to write down all the goals you have for the summer. 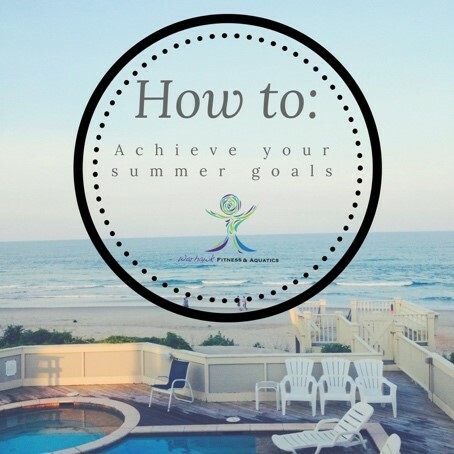 Be realistic, and don’t go overboard; but be sure to create a list of things you wouldn’t be able to do if it weren’t for the freedom that comes with the beautiful summer months. Follow through with this plan! I wasn’t lying before; these goals may be more important than you think. I truly believe that everyone deserves to take some time for themselves to do what they love or to try something new! You need this mentally, emotionally and physically if you want to be a better and healthier version of yourself. It can be as simple as going to the gym 5 days a week or it can be as crazy as taking a month off to travel to a new and exciting place. Only you know what works best for you and your lifestyle. I can’t tell you what your goals should be, I can only recommend that you take the time to figure that out for yourself. I hope that by the time the Fall comes around, you are able to look back on your summer and see a lot of positive experiences. You deserve nothing less.